The funny thing about business models is that the ones people usually complain about and hate the most are the ones that actually work. And oftentimes you don’t have to look any further than your Facebook Newsfeed to see what people share to discover new, working business models. Most marketers scoff at this option. They call them “shady,” a waste of time, and claim that the only thing to come out of click arbitrage is low- quality traffic. But there are serious companies making this business model work. Here we want to show you exactly how click arbitrage works and get an inside look at how you can generate quality traffic and add fuel to your ad revenue. We’ve all heard the old adage, “buy low, sell high.” This thinking is what lies at the heart of arbitrage. Whether we’re talking about commodities, currencies or something else, investors can spot price inconsistencies and turn that into profits. In true arbitrage, an investor looks to make this profit almost instantly. They see a currency selling for a lower price on one exchange than another. They buy on the first, sell on the second, and pocket the difference. Investors know that if they can find something of value and then sell it for a higher price to someone interested in that product, there’s profit to be made. This is how any market works. 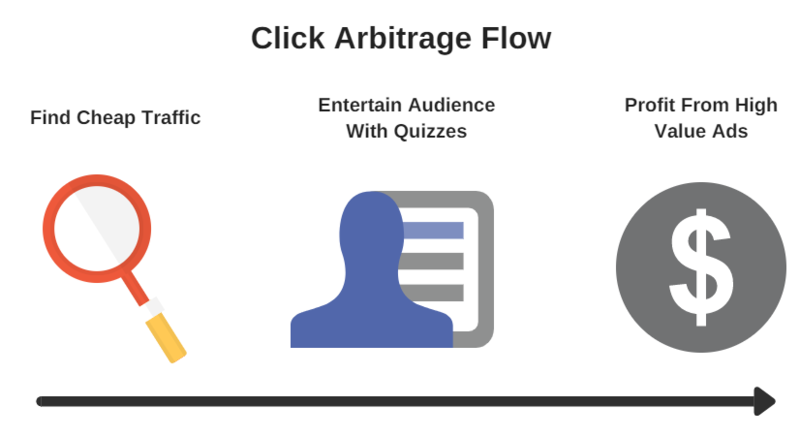 With click arbitrage, an advertiser acts like an investor. You’re on the lookout for pricing gaps in the ad market that you can use to increase your ad revenue. You buy clicks low, and sell clicks high. This is how most viral content websites make money—they buy low-cost traffic from one site and then turn that traffic into positive revenue on their own site. You have to know where to find cheap traffic to buy to maximize the number of people seeing your ads. You need strong content that engages, entertains and targets the interests of your audience to make sure people click on your ads and eventually share, lowering your costs further. You need a way to turn this attention and engagement into high ad revenue. Let’s walk through, step-by-step, how this works and how you can personalize the process to meet your specific needs. There are a few ways to do this depending on your needs and budget. Some examples of the most common methods include Facebook ads, ad networks and content discovery networks. Let’s break these down a bit and look at how each one works. One of the most powerful ways to get high-quality traffic at a low cost is with Facebook ads that appear in Newsfeeds. With almost 2 billion active users on the platform, Facebook ads have relatively high click- through rates and low PPC. Especially when you optimize for link clicks. You buy ads to drive traffic back to your own content. The more traffic to see your content, the lower your PPC will be. Then, you gradually build trust with your new audience. Include ads on your site for them to click on. Make a profit based on the ads people clicked on and make back more than it cost to buy the traffic. Let’s say it costs an average of $0.15 to get one person to your website. When this person shows up to your site, you expect them to click on an ad you’ve placed in your sidebar. If people follow through and you make an average of $0.20 every time someone clicks an ad, you make $0.05 in profit. Yes, the margin’s small on its own but imagine if you get millions of visitors per month. That $0.05 per visitor adds up. Ad networks are sites designed to help publishers find advertisers who want to show ads on their site. 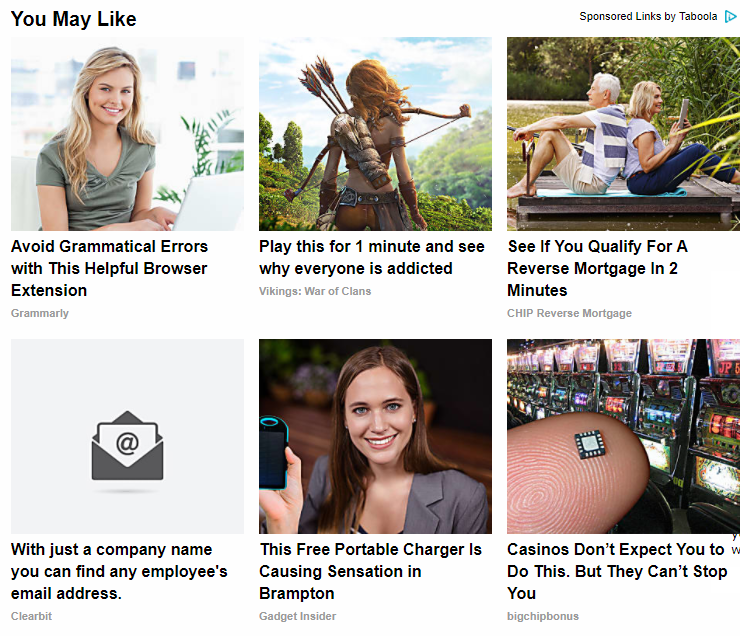 These sites look for sites that want traffic, and sell the space to advertisers who then post their ads on these sites. Google Ad Sense is a popular ad network and it lets you buy traffic and earn a solid ad revenue stream. Sign up with an ad network like Google AdSense and make space available on your site for ads. 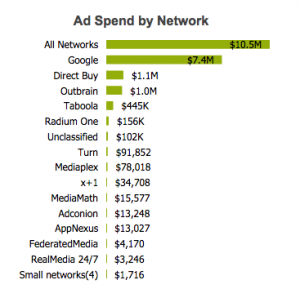 The highest-paying ads — based on an advertiser bidding process — appear on your site. You make a profit every time an ad is clicked. If you spend as low as $0.02 to promote your ad space, sell for $0.06 per view of each ad on your site and get 5,000 views a day, you stand to make about $200. As you can see, you’d need to sell a lot to make a decent revenue. If you can sell for as high as possible, you stand a much better chance of boosting revenue through click arbitrage. 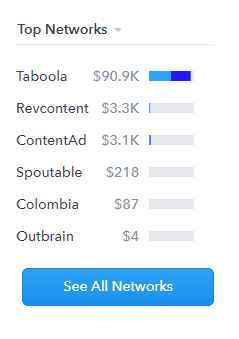 Content discovery networks like Outbrain and Taboola offer an opportunity for you to get lots of cheap clicks. At the bottom of lots of websites, you’ve likely seen a “recommended for you” or “related stories” section. This content looks like content published on the site, but this section is made up of ads. 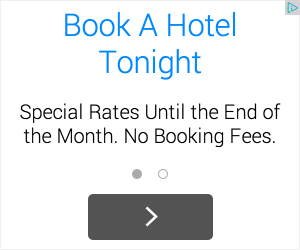 Create native ads that match the look and feel of your website. Someone clicks on one of the ads and they’re taken to another page. You get a profit for every click made. This model works really well for click arbitrage because the clicks are relatively cheap. 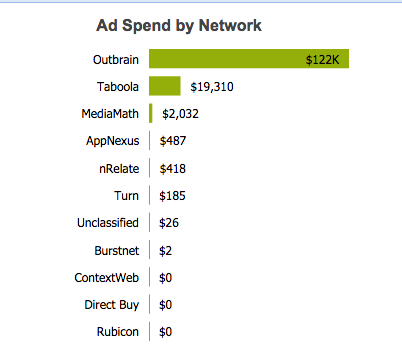 For example, Outbrain charges somewhere between $0.25–$0.35 per click. Cost per clicks (CPCs) on networks like Google, or even Bing, are going to run you at least $1, if not more. We’ll cover these networks more in-depth in a later post, but one reason these ads tend to be a bit cheaper is that many of these networks don’t allow advertisers to send traffic to a landing page meant to make a sale. They’re only allowed to link to content. There are even a few networks that have one rate — usually lower — for advertisers who want to send traffic to pure content. Then there’s another rate — usually higher — for advertisers who want to send traffic to a sales page. 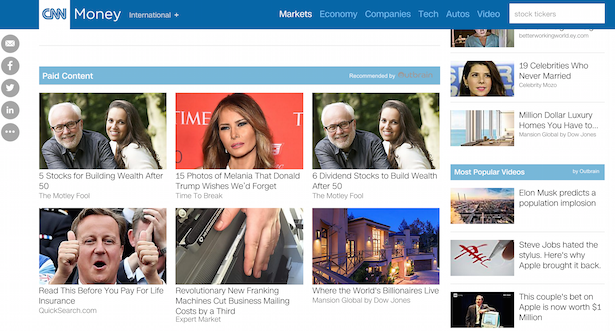 One example of a viral website testing various content discovery networks is LittleThings. Another example is ViralNova, a huge viral news site that was very popular on Facebook just a few years ago. Notice how both of these websites rely heavily on content discovery networks for their traffic. The reason why these networks work so well for viral websites is because the design of the ads and advertiser landing pages are in line with user expectation. When a user clicks an ad that appears to link to a piece of content — not a sales page — that’s exactly what they expect to see after they click. The ad networks and viral sites fulfill these expectations and give the user what they expect to see. The point of all of this is to highlight the different ways you can buy low cost clicks and turn them into revenue. Click arbitrage takes many forms and is a common practice. It’s been proven effective even though not everyone admits to using it. Choose the method that works best for you and watch your content go viral and make profit from clicks that would come to your site anyway. Once you’ve decided on the method you’re going to use to increase your ad revenue, you need a way to bring in low-cost traffic. Buying traffic is one way but there are others to choose from, for example, viral quizzes, referral marketing and organic search. All of these options are incredibly valuable because of their potential to make content viral. Here’s a deeper dive into how each one offers low- cost traffic. The tactics combined pave the way for you to get more traffic in the long-term. Once you’ve figured out your seeding methods you need to set up your click arbitrage. A good place to start is Facebook because it’s (comparatively) cheap and it’s easy to target demographics that will be interested in your quiz. You can be as specific as possible to make sure that you’re targeting the “right” people for your ad. 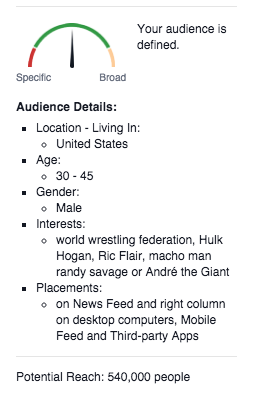 For example, you can narrow down things like the country, age, gender, and interests of your target audience. With this example, there are still 540,000 people who can be reached by this ad. So the more you know about the people you want to target, the more niche your quiz can be. Their friends likely fall into the same demographic and would be interested in the quiz as well. 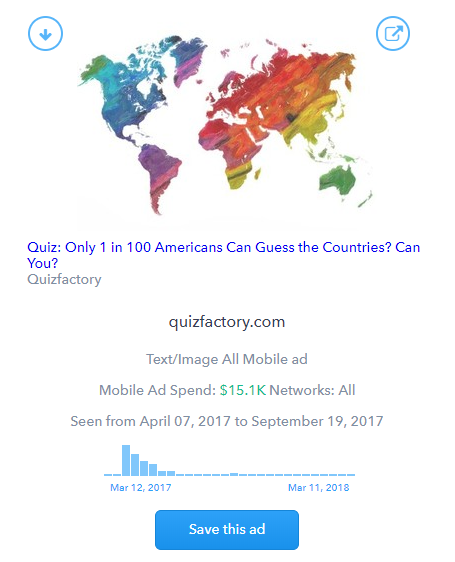 All it really takes is for one of these quizzes to go viral and all of a sudden you’ve got a good amount of free traffic coming to your site, clicking your ads and growing your revenue. Another great way to grow traffic to your site is through referrals. How it works is you find your advocates — these are customers who know your product the best, have had positive experiences using it and are therefore more likely to want to share it with others. How this ties in with click arbitrage is to give people on your site an incentive to click. Offer them a discounted service, for example, to get them to click an ad and to get them to share it with their network. What you want is for your advocates to share your ads with as many people as possible in order to drive the cost per visitor down. This ensures that even when the cost per click is high, you’re still making a decent profit. In the long term, you can buy more ads or even higher cost ads to increase the amount of high-quality traffic coming to your site. The bonus here is that you still have lots of margin left over. By incorporating a referral program into your click arbitrage campaign, your customers also benefit. For example, let’s say your program gives referrals 10% off of their next purchase. Your “reward”: If it costs you $0.05 for every click but you make a whopping $0.12 in profit every time someone clicks, you’d make $3,600 for every 30,000 clicks. Referral’s reward: If at least 20% of these 30,000 clicks turned into referrals, each new customer would save $50 if their next purchase cost $500. Total savings would be $300,000 for all converted new customers. This can work, but it’s a crapshoot. Almost 100% of the time, if you build it… they will NOT come. Relying initially on organic traffic is a long, hard slog that often leads nowhere. There are spikes in views that match when posts are first published but then viewership drops to zero. This shows that people aren’t coming back to see your content. And if they aren’t coming back, chances are they aren’t sharing it either. You’re putting in a lot of work with absolutely no return. 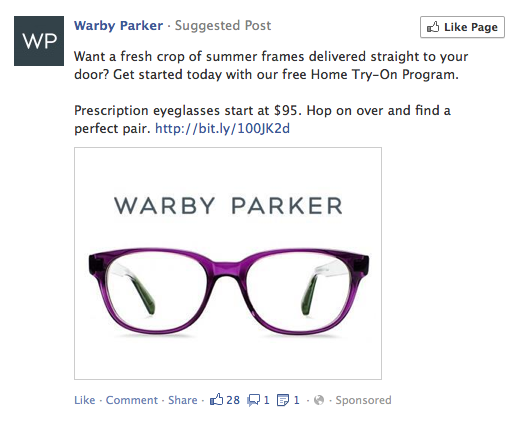 A better way to get as many eyes as possible on your content is to pay to get people to see it…at least at first. Getting guaranteed eyeballs on your site exponentially increases the chances of people sharing your content. Even as you’re paying for people to see your content, keep working on creating high-quality content. In addition to paid traffic, high-quality content will make sure you stay high on search engine results pages (SERPs) so that you eventually get a consistent stream of organic visitors. It takes time to build but when it’s done right — easy to follow, catering to specific needs — your site visitors will be high quality, your content has a higher chance of going viral, and you’ll eventually make back the initial investment you made to get traffic to your site. The more traffic and higher quality that traffic is, the more you can charge for space on your site. This pushes up your margin from the other side. Going back to our example of quiz sites, they’re a model of how to get lots of relevant traffic to your site. Here are a few examples of publishers who use this approach to increase their revenues using a combination of click arbitrage tactics. 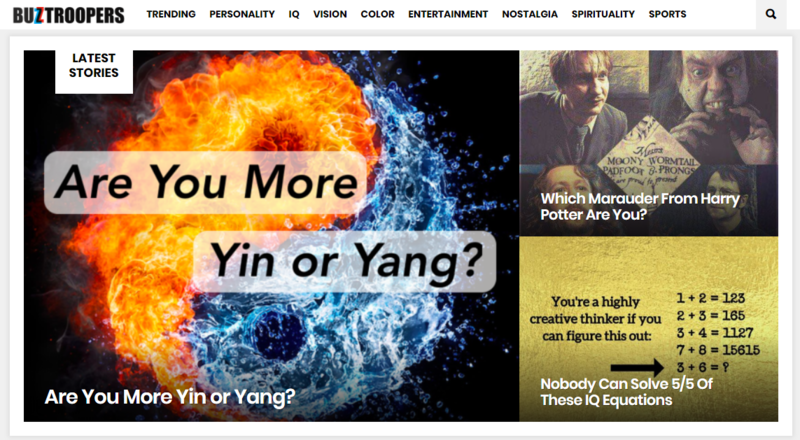 Playbuzz recently became not only the most popular viral quiz site, but one of the most popular sites on the internet in general. Bloomberg Business Week calls them “The Israeli Quiz Factory That’s Outbuzzing BuzzFeed on Facebook” and they’ve received over $3.8 million in venture capital. They were recently the second most shared website on Facebook — behind The Huffington Post — with over 7.5 million shares. 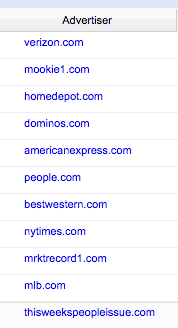 Notice that Google AdSense is their main stream of income. Not a huge surprise. Google AdSense has a great payout and brings in high-quality traffic through Google AdWords. 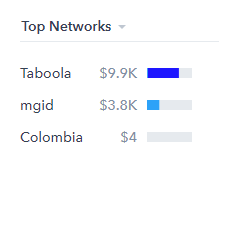 However, you’ll also notice that they’re also doing a good amount on “Direct Buys.” This is Playbuzz selling traffic directly to large advertisers instead of ad networks. Large advertisers love direct buys because they’re guaranteed to get the most impressions possible based on the terms they worked out with that publisher, instead of varying traffic levels they get when they use ad networks and exchanges. This is the best thing that can happen to a publisher because large companies like Verizon have enormous ad budgets. Plus, their goal is usually not direct response. It’s to get as many eyeballs as possible on their ads, meaning big brands will typically pay higher cost per thousand (CPM) rates so they can get as much traffic as possible. Signing a contract for guaranteed revenue at a high CPM rate is any publisher’s dream. Buzztroopers is another popular quiz platform. They have over 139,500 monthly visitors to their platform making it one of the go-to sites to grow traffic. 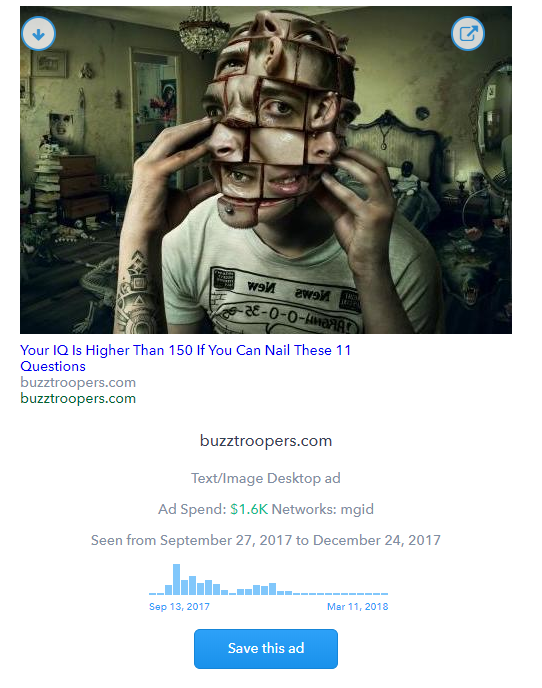 This difference in ad spend shows Buzztroopers’ understanding of where their audience spends the most time and where to target their ads and spending. 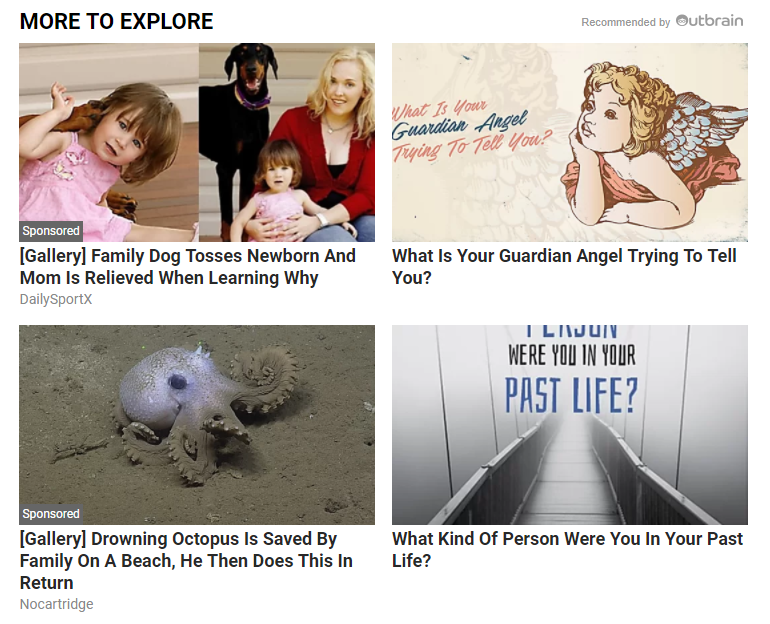 Add to that the provocative quiz titles and they’re sure to get people’s attention and get their ads clicked on. At any time during a quiz or after, people can click on additional content that they can explore. 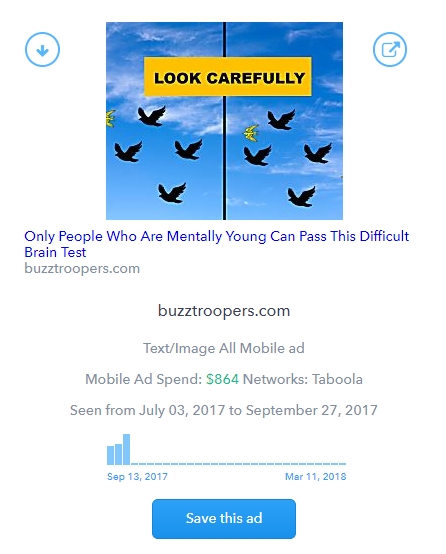 With approximately 4,650 unique daily users, this tactic keeps people on the site longer and generating more income for Buzztroopers. The more links people click and the more content they explore, the better. Many of Buzztroopers’ Facebook ads target millennial women. 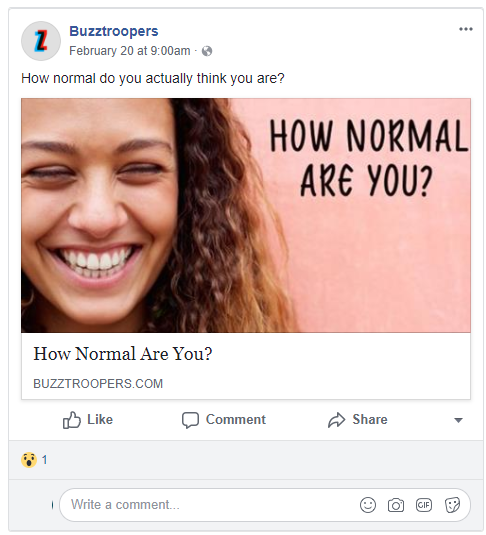 For example, this one and many others focus on personality type tests and comparisons like “which character are you?” These tests and Buzztroopers’ ads work because they target a specific audience and speak to the audiences’ interests. This keeps people engaged and curious about what’s to come next. The tests and quizzes are all relatively short, so it helps to keep new users on the site longer. Buzztroopers has an average of 5,208 page views a day. Quiz Factory is another quiz and test platform. They have over 17,000 unique monthly visitors to the site with visitors opening an average of 13 pages per visit. These ads ran for about four months on the following publishers. They are publishers that Quiz Factory bought the most ad inventory from. Almost all of Quiz Factory’s social engagement is on Facebook. 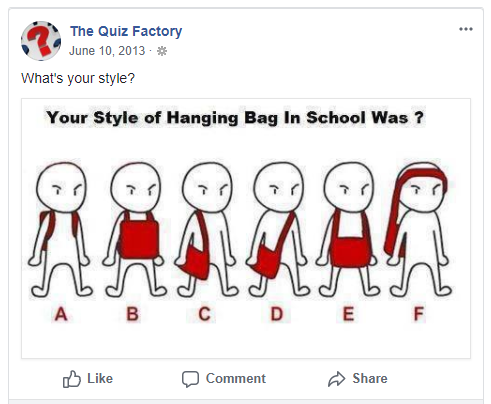 In addition to quizzes like the one below, Quiz Factory also posts a lot of memes on Facebook that target a younger demographic. This works for them because they know who their target audience is and what their interests are. Unlike Buzztroopers, Quiz Factory’s website categorizes quizzes by area of interest. For example, people can choose tests that focus on cars, sports, history, movies and more. When a user clicks on a quiz, they can test their knowledge on that given subject. This approach is great for social sharing because users can show their circle of friends how much they know and challenge them to do better, a powerful way to drive referrals. The quiz model is very hot right now and easy to set-up. If you’ve got a few spare hours and a small-ish ad budget, you can get something set up very quickly and start testing it. Fantastic piece on native ads as well as quizzes Mike.. Been doing survey landing pages for a while, but not the way you’ve collected the cream of the crop here. Definitely worth implementing some of these..
What an outstanding post on a fascinating business model. (But as you say, Mike, probably a “flash-in-the-pan” model). This series is like a college degree in paid traffic business models! Thanks, Moe! Glad you’re enjoying the series. Hey Mike, This article was a lot of work. Very thorough and well-constructed. Thanks for the great info! Thanks for your feedback, Brian. Glad you liked it! Very interesting article! Viral quizzes are something I’ve been looking to dabble in, so this was helpful. One way I can see to mitigate the “unprofitable traffic” issue you bring up (and the “flash in the pan” issue) is to try to build an email list from site visitors. That way you’ve got a real monetizable asset that you don’t have to pay Facebook to get in front of. Obviously this would work better if your quiz site is focused in a particular niche, unlike Playbuzz or Quizdoo. Awesome post guys. Such great info. Something I have often thought about is duplicating the content in these quiz sites but repositioning in another language – i.e. in Spanish. Have you guys ever come across anyone who has done this successfully? Big thanks in advance! I can’t think of any specific advertiser who has done this, but it’s a great idea. Human psychology is human psychology, no matter what language you’re speaking. I imagine a quiz landing page would work very well in a Spanish speaking market! Let me know if you try it. I’d be super curious to hear how it goes. There is something I’m not understanding about the arbitrage. “Example: It costs an average of $0.15 to get one person to your website. This person shows up to your site, takes a quiz/consumes your content and clicks on an ad you’ve placed in your sidebar. You make an average of $0.20 every time someone clicks an ad. But of those visitors we acquire for 15 cents each, not all will click on the ads we’re serving. What would the CTR be on the ads you serve? 1 percent? 5 percent? So the vast majority of the time, we pay 15 cents to get someone to our site and we make nothing in return. It seems that would be a money-losing proposition every time! The only way you’d cover costs and make a profit would be for items to get free shares by going viral. No virality, no profit. Yes, virality is key. Also, many of these pages have opt-in boxes to build up their mailing list. This gets people coming back and (hopefully) clicking ads. Those are the ad networks they use to monetize their traffic. 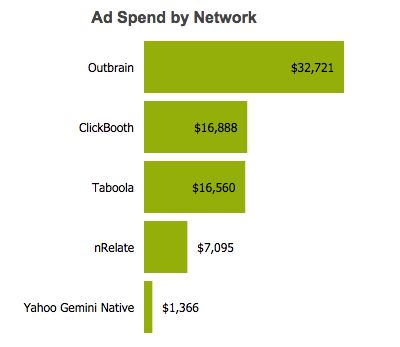 Playbuzz uses adsense and outbrain the most. If they figured out a way to monetize the traffic better they wouldn’t only be relying on those traffic sources. (And there are better ways imo that are worth testing out). Videos tend to go viral much quicker and has more appeal than quizzes. If you were to start your own Viral Content website today, what strategy would you go with? 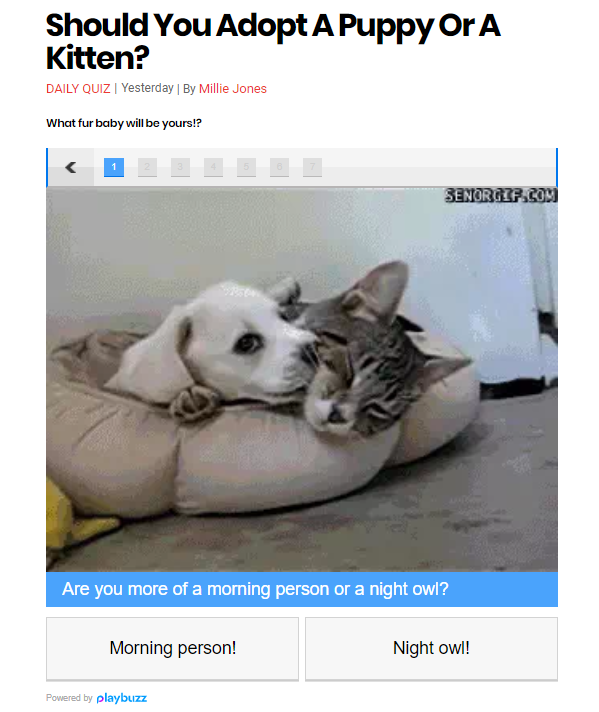 : Quizzes, Curating content or videos? I am trying to incorporate this on my site, is this still a fad? Nope! Marketers continue to uses quizzes for lead generation or click arbitrage. I tried to do the math with the numbers you provided, however I could not figure out, how to get to a profitable result. Could you point me out, where my mistake is? The “math” in this post is VERY basic. It will not make sense under most circumstances, especially when you add in other variables. Simple, arbitrary numbers were chosen to make things easy for beginners to understand. Which theme you prefer for viral content type wordpress websites? I found 3 on google: called viralpro, arbitrage from lipode and socialviral looks good. Great blog post and as you mention its about setting up the equation to work for you. But the thing with making arbi. work for you is not about getting the cheapest traffic and monetizing with the most expensive networks. It’s about getting the cheapest QUALITY traffic that will actually click through. Then you need to bring in traffic from more diverse sources than just Taboola or Outbrain Like RevContent, Criteo, even Gmail ads work well.